The Slads 1947. This photograph was taken from the railway bridge. The full length of the plank foot bridge can be seen on the left. The driver of the horse and cart may be George Paget who lived nearby, or Ted Quayle. 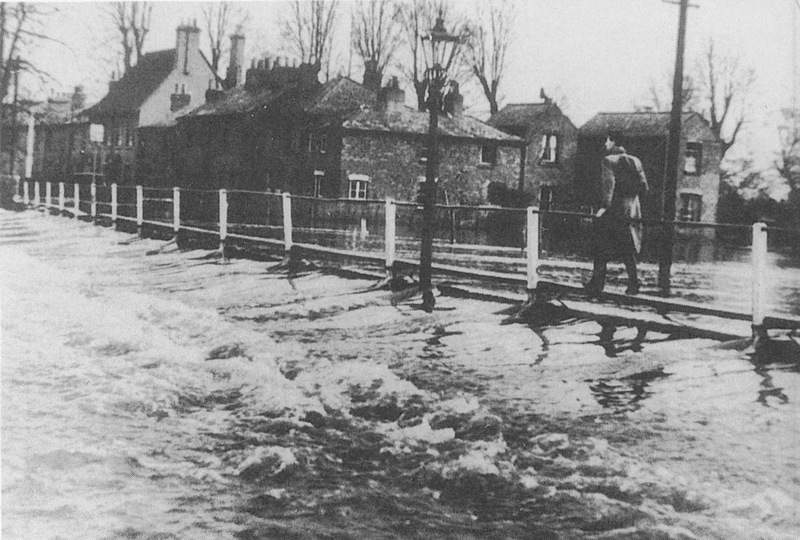 The footbridge across the Slads during the 1947 flood. 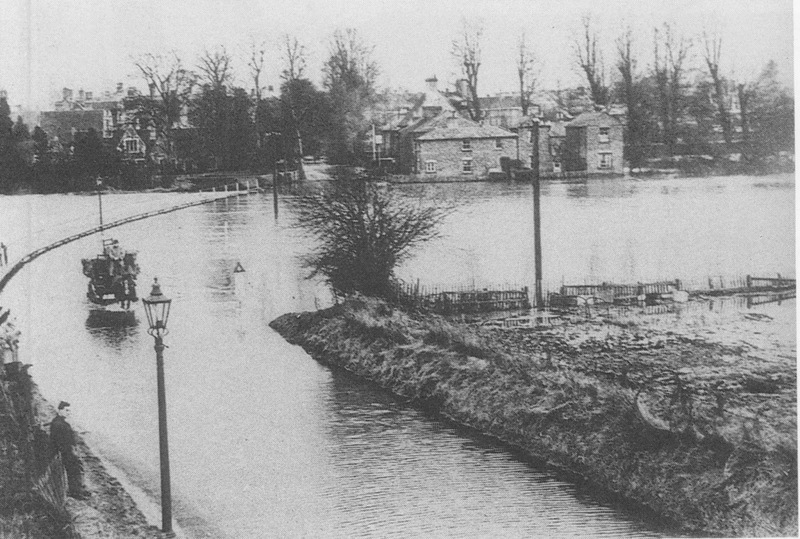 The sign of the former Willow Tree pub can be seen on the left of the picture. The angle iron support posts at the side of the footpath were a permanent feature. The planks and fittings were held in store for the then regular flood emergencies. Two posts have survived to the end of the century.